Balaa Episode 27 & 28 Review: Taimoor might just be coming to his senses! Balaa Review Episode 15-16: Nigar is Manipulative, Everyone Else Too Naive! Haiwaan Drama Review Episodes 1-4: Faysal Qureshi stands out! Balaa Episode 13-14 Review: Scheming Plots! Balaa Episode 11-12 Review: Bilal Abbas steals the spotlight! Balaa Episode 9-10 Review: What Fate has in Store for Nigar and Taimoor? Balaa Episode 7 & 8 Review: Is Nigar hiding her vulnerability underneath a vicious mask? Meri Guriya Episode 18-21: Dabeer is Caught but will Justice Prevail? Meri Guriya Episode 18-21: Dabeer is Caught but will Justice Get Prevail? Woh Mera Dil Tha Ep 21 Review: Hearts have changed; Zaid's Transition Into A Hero! 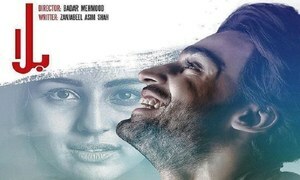 In Review: Simple yet Convincing Baba Jani Off to a Good Start! Meri Guriya Episode 17-18 Review: Safeena Jasoos! Meri Guriya Review Episode 15-16: Will the comeback be stronger than the setback?